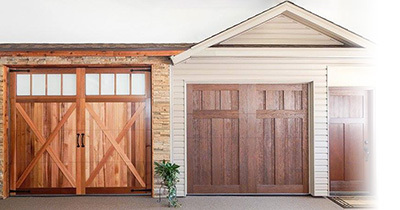 Penn Central Door offers a full-line of residential garage doors. Every type of garage door from economy/intermediate garage doors to premium garage doors. Our garage doors are made of various materials including wood, steel, fiberglass, aluminum, copper, and stainless steel. The garage doors come with various options including, several window styles, a wide range of hardware options, and different thicknesses of insulation.